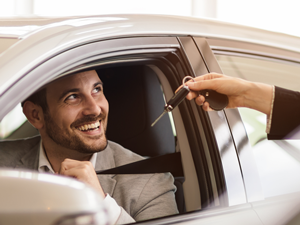 Whether you’re looking for a new or used car, we have the loan solution that’s perfect for you. Plus, with the ability to apply online, it’s never been easier to get the auto loan you need to drive away in the perfect car. Ready To Apply for an Auto Loan? Fill out this form to have a banker give you a call about applying for an Auto Loan. 1Discounted rates shown for Auto Loans are based on client maintaining Premium Relationship Checking with the bank. Assumes a 36 month fixed-rate term on a $10,000 loan for a vehicle 2011 model year or newer. Automatic payments from a Hillcrest Bank Checking Account required for consumer loan rate discounts. Subject to credit verification. Rates are subject to credit approval. Rates may change at any time. Rates for smaller loan amounts, or longer terms may be higher. Loan payment and APR can vary based on the loan amount, the term, and any fees. Rates not available for refinance transactions on loans currently held by Hillcrest Bank. Loans eligible for discount are Auto, Recreational Vehicle, Home Equity Lines of Credit under $250,000, and Home Equity Loans. Loans are subject to credit approval. Insurance must be carried on property securing home equity loans. Apply at a banking center. Get information from our experts before you begin your search.